The house of crooked sisters | The petals of the Irises faded to sepia curls, gnarled by the heat of the sun. The petals of the Irises faded to sepia curls, gnarled by the heat of the sun. I’m thrilled today to be on the blog tour for Nemesister by Sophie Jonas-Hill. A thrilling read full of suspense. I loved writing this blog, possibly my favourite one ever! Today I’m pleased to welcome Sophie Jonas-Hill to the blog. 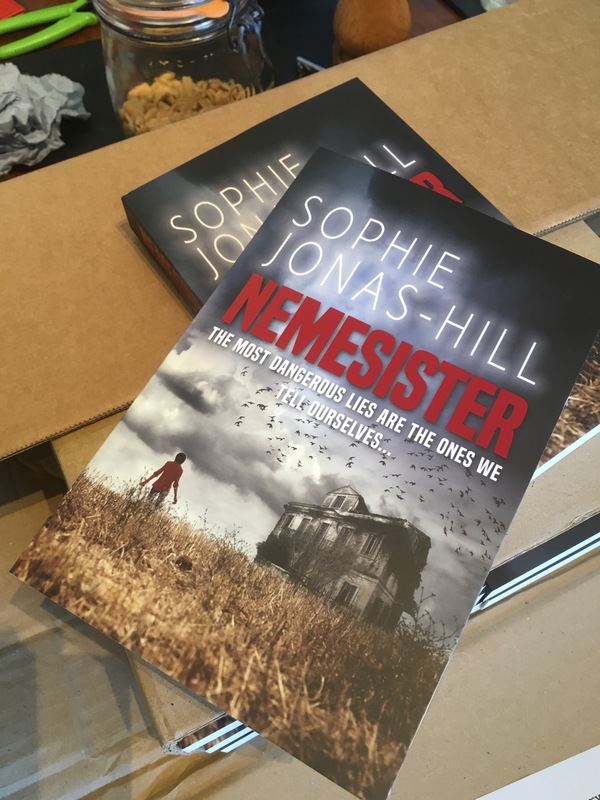 Sophie’s novel, Nemesister, was published by Urbane Publications on 6 July 2017. Today Sophie talks about Charlemagne’s mathematician. A meditation on King Charlemagne, during which I realise something for the first time. 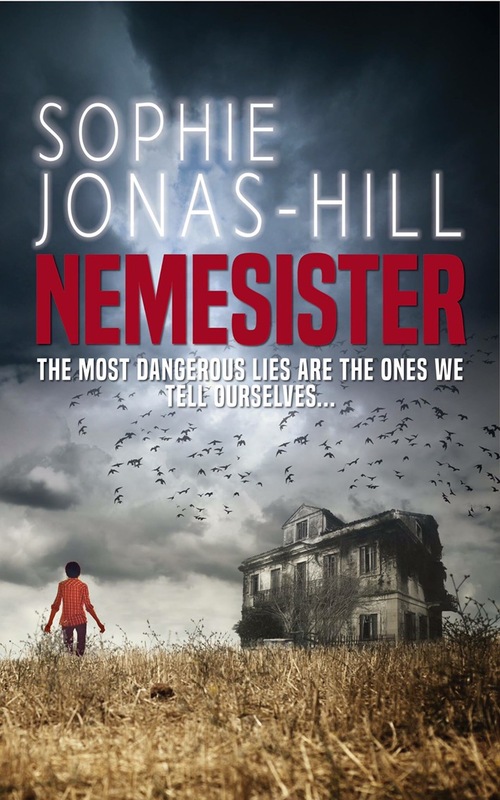 I’m excited to be hosting a stop on the blog tour for Nemesister by Sophie Jonas-Hill today. Huge thank you to Abby for the opportunity! I have an extract for you guys and will also be sharing my review but first, here’s a wee something about the book and the brilliant cover. Psychological mystery where the female protagonist stumbles into a deserted shack with no memory but a gun in her hand. There she meets an apparent stranger, Red, and the two find themselves isolated and under attack from unseen assailants. Thank you for a brilliant review! My novel Nemesister is being published by Urbane books on July 7th this year. It was once upon a time published by another ….I won’t call him publisher….but after selling well he decides not to pay me any royalties, so with the help of friends I was able to regain sole control of the rights. I was then signed by a big old literary agent who was unable to place it, but did give me the invaluable chance to work with an editor to reexamine and refine the original draft into an even better book. It’s this vastly improved and enriched version which is now being published, more tense, more deep, more duplicitous, all thanks to the support and belief of Mathew at Urbane books, swimming against the tide of the publishing world. If you want to support both him and me, please pre-order your copy in either virtual or tangible form. I have been terribly busy writing a book, the outline of which has now gone to my agent to see if he thinks it’s got legs, which means is it an idea that has a chance of catching the eye of a publisher. This means I’m in something of a limbo, I’m either going to shortly embark on a length edit and reflection process, or I’m about to start again from square one, and so with that in mind I thought I’d better start mulling a new idea. As I’m in mull mode, I thought this would be a good time to share that initial process, in the spirit of answering the endless question ‘Where do you get your ideas from’, and in case anyone might find it in any way interesting. Most of my novels start with a spark, a lone, glowing point of an idea that has nothing else formed around it. I have many different ways of recording theses from notes on my lap-top to scribbles on envelopes, but the point of them is to collect them as one might trading cards. Some of them might never mutate into a book or even a short story; some many turn up in the same book, and some might turn up in many books, but the key is never to push them, never to ask what they mean, just get them down. The rest will come later. This particular spark came from the London bombings. I’m not yet in a position to write about the events directly, but what I quite like considering is the odd use such world shattering events are put to. I was not caught up in 7/7 directly, though friends and family of mine were, but I was in London when the second, thwarted attempt took place, and was duly evacuated and found myself walking from central London to Finsbury Park as all transport was closed down. I met a random woman about my age and we walked together, having one of those ‘fire fly’ friendships fate sometimes brings to life in moments of crisis, and then it was over. But the idea from all of this was simply that of someone on a tube platform with their own agenda. They’re there at the station waiting for someone, without knowing that behind them a young man in a ruck sack is coming down the station corridor to get on the train too. In this idea the first person is a woman; a young woman maybe only twenty, or a few years older, and I realise she’s being followed. She is nervous, angry – she knows who’s following her and she’s had enough. She has an interview today, for a job or a college place, or she’s just going shopping for her holiday; either way she doesn’t need this today. She’s being followed by a girl, the girl who has the same first name as she has, that’s where it started. They were in the same class at school and that was always the joke – let’s call her Lisa, though I haven’t decided yet – Lisa A and Lisa B – that’s what they called them at school. They were friends for a while, good friends, only Lisa B became just a bit too intense. She wanted to be Lisa A’s best friend, her very best friend, until she was following her and trying to be like her. She’s still doing it now they’ve left school, though Lisa A thought she’d got away from her. She’d confronted her, called her out, turned everyone against her in frustration as she wouldn’t take the hint; she thought she’d dealt with the problem. Only she’s here, on the tube station following her again. She saw her as she was getting her ticket, just standing there watching her. And now she’s on the platform, the man in the rucksack just blocking her view. Lisa A has had enough. The tube is pulling in, the sound of it roaring and rumbling in the dark, it’s eyes blazing and the crowd pushing forwards as it breaks into the light, silver flanks blurring to a stop. She lets the man in the rucksack step onto the train in front of her; well, when he steps up and inserts himself into the crush she lets him, doesn’t join in with chorus of ‘passengers off the train first’ and hangs back as if she’s decided to let this one go. She sees Lisa B do it too; let the people behind her surge round her as if she were a rock splitting a wave. The alarm begins to sound, that high, urgent ‘bleep-bleep-bleep’ and at the last second Lisa A makes a break for the door. She slips inside the second it starts to close, ignoring the mutters of protests as she treads on toes so that she can whip round and thrust her face against the window. The door’s closed and Lisa B is still on the platform, staring with mouth open in fury. She must have thought she’d worked out what Lisa A was doing, hanging back in the hope that she’d get on, and Lisa A can’t help the smile that breaks across her face – she’s won. She’s still smiling as the train accelerates, as it whips Lisa B away into the mass of the crowd, as it leaves her behind. That’s the spark, anyway. I played around with different people on the train – a man pursuing a woman, a woman who has to deliver something she’d rather not, a man with a gun in his jacket pocket – but this one seemed to be the sticker. But where is it going next? That was nearly ten years ago, so where are they now, Lisa A and Lisa B, and what ‘use’ have they made of this day – is Lisa A dead? That’s what sparks are for – let them flare and blow on the embers; see which way they glow. Next time : where has this spark gone?